In the year-plus since Pope Francis visited Philadelphia, the image of him cruising the streets of Philadelphia has by now faded into the rear-view mirror, if not in the memory of those who saw him. One very tangible reminder of that historic pastoral visit in September 2015 is the car in which the pope rode. And it is up for sale by its owner, the Archdiocese of Philadelphia. 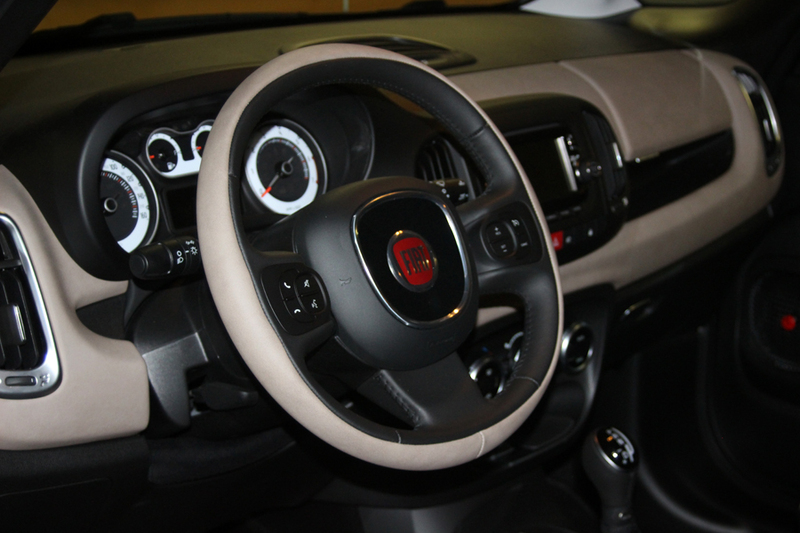 Although it sounds like a classified ad, it’s all true: 2015 Fiat 500 L four-door sedan, 456 original miles on 4 cylinder 1.4 litre engine, granite color, new tires, spotless inside and out. Owner seeks best offer to benefit Catholic Charities. A real creampuff! The Fiat is one of two identical cars used to transport the pope during his stay in the city and region. 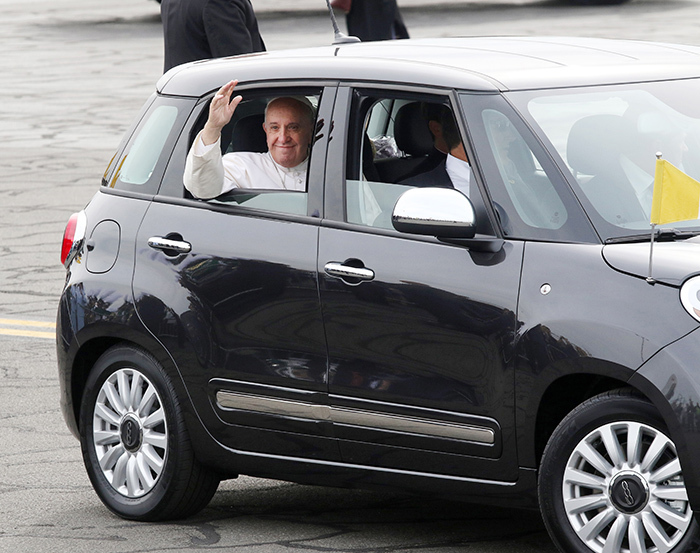 Chrysler Fiat provided six cars for the papal visit to the United States — two cars each in Washington, New York and Philadelphia. 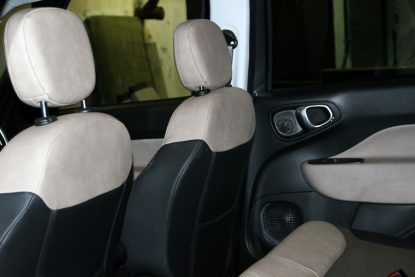 Both Fiats in Philadelphia were used during Pope Francis’ stay in the Philadelphia area, each prepositioned as needed in the various locations to which he traveled. The first car was sold at auction last January at a high bid of $82,000, and the archdiocese “wouldn’t want to sell it for less,” said Chief Financial Officer Tim O’Shaughnessy. 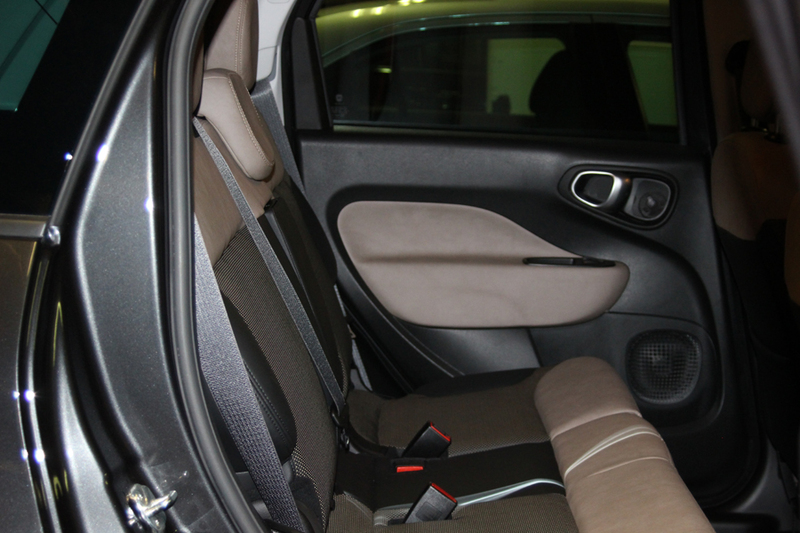 An interior view of the car used by Pope Francis in Philadelphia. The reason the archdiocese turned down matching offers for the second Fiat during that auction, and why the church hopes to get a better offer now, is that all the proceeds directly benefit the ministries of the archdiocese. Fifty percent of the sale price will go toward the Catholic Charities Appeal, and one-third each to Casa del Carmen social service agency in North Philadelphia, Mercy Hospice for homeless women and children in the city and the archdiocese’s schools of special education. The car has been kept clean under wraps in the garage of the Archdiocesan Pastoral Center in center city for eventual sale because “the value to be realized is worth it to us,” O’Shaughnessy said. The archdiocese prefers to sell the car privately rather than putting it up for auction and incurring those associated costs. Selling the car privately “would generate more money for charity,” O’Shaughnessy said. It’s a contribution of which Pope Francis would no doubt approve. In a recent conversation, O’Shaughnessy spoke of his strong memories of the two-day apostolic visit. Tops among them was the moment Pope Francis kissed and played with O’Shaughnessy’s 2-year-old granddaughter. He also recalls sitting in the Cathedral Basilica of SS. Peter and Paul on Saturday morning, Sept. 26, 2015 before the Mass that Pope Francis would celebrate there. People checking their cell phones whispered to one another the news that the pope’s plane had left New York; that it had landed in Philadelphia; that his car — the Fiat now for sale — had left the airport for center city. Then the roar went up outside the basilica’s ancient walls as the papal motorcade pulled up to the main doors and, finally, Pope Francis entered the cathedral. The excitement of the moment, O’Shaughnessy said, was heightened by the anticipation of the morning and more than a year of planning for what would be an unforgettable two days for everyone. Anyone interested in making an offer for the car is invited to call the archdiocesan Office for Communications at 215-587-3747.